The power of the press is often a forgotten weapon by nonprofits in the War for Words. It has the ability to take a charity from obscurity to name recognition in a short period of time. Its’ reach is far beyond what any nonprofit could afford to buy and if done correctly online, it is a strategy that keeps on producing measurable results. The most effective PR people are the ones who target specific publications and/or Web sites, know their editorial calendars, and their readership profiles. They have a mindset of setting the preverbal PR table instead of hoping to get a seat at one. This is the only way to ensure you are attracting like-minded people to your cause. 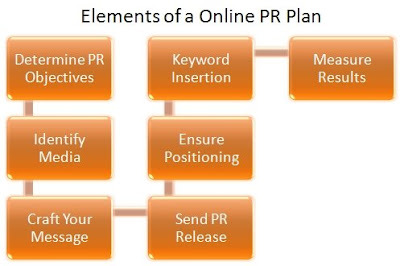 Unlike offline PR, online allows your press release to be categorized by search engines, blogs, news sites, etc. Your story is ever present on the Internet for everyone to find. As oppose to faxing your press release to a newspaper editor, which may or may not get read and if it does, its fate is determined in-a-blink-of-an-eye. That’s it . . . your one chance is over. Furthermore, you have the ability online to integrate your keyword strategy in your press releases. Do this by mapping keywords to the press release like you would map keyword phrases to your charity’s Web page. Use keywords in the title, sub title and in the body copy of the release. This will help continue to seize those words that define and position your organization online. You must create a compelling call to action or enticement in order to motivate a click through on the release to a corresponding landing page. One idea for an incentive would be a free White Paper on solving your nonprofit’s core issue, such as a new cure for cancer, eliminating poverty, feeding and clothing the homeless, etc. Be sure to track links to determine how effective the release is at generating traffic and inquiries. The best way to conduct PR online is to know who you are pitching . . . to be able to think like them . . . know their blogs, Web sites, and news sites. Understand their readers, what are they looking for and trying to achieve. There are a number of “free” press release distribution services such as PRweb.com. Therefore, you need to determine whether you should pay or use the free PR service. Be careful of PR services that will send spam press releases, you don’t want your organization to be associated with those companies. Additionally, your Web site should contain an online media kit with clear, concise and factual information about your organization. Your site should provide links to past releases, media coverage and contact information . . . discontinue the Webmaster concept. Furthermore, you need to provide the media access to compelling imagery, photos, audio and video that show cases your charity in action. The more traditional and costly wire services are Business Wire and PR News wire. For your major campaign announcements perhaps your charity should consider utilizing these more established firms.